With push from Apple and Google, finally HTML 5 appears to be the future of web. Even Microsoft which has tried very hard to push its Silverlight, has given in by implementing HTML 5 support with IE9. With Windows 8 expected to bring HTML5 apps to mainstream consumers, HTML 5 adaptation cant get better boost. But days of HTML 5 only sites are still years away, last week I was playing with some of the popular tags and could immediately notice remarkable difference between Google Chrome and Firefox in their support and implementation. And IE9 is not ready for adoption in enterprise. Over next few years there will be arguments and counter arguments regarding what is best for future of HTML 5, unlike the past where Microsoft used to set the rules in HTML game and rest followed, we have other players already in the game and Microsoft would be expected to follow Standards. With the advent of HTML5 the biggest benefit will be for low power devices, on the other hand Adobe Flash and Microsoft’s Silverlight will be the biggest casualties. And with advent of HTML apps, Microsoft’s dominance in OS realm will be seriously threated by likes of Google and Apple, overall exciting phase awaits every computer user. 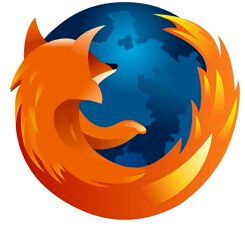 Mozilla is likely to release Firefox 4 on March 22, its Release Candidate was on March 9th. The browser has features like New Tab Location, Switch to Tab, Firefox button, App Tabs, Organize your tabs (feature that allows you to drag and drop tabs from tab clutter to manageable groups for naming and organizing in a different way), Manage your Add-Ons (is a small indicator on the top left which indicates you by slightly glowing when new mails/ any other notifications you recieve), Stay in Sync (which lets you to synchronize the settings, bookmarks, passwords, and other customiztion to multiple devices). 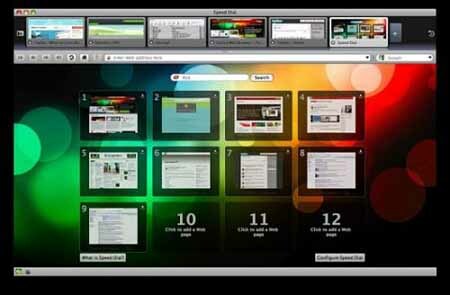 Opera has launched its new version browser Opera 10.52 for Mac OS X Systems. As per the news update, Opera 10.52 works 10 times faster than Opera 10.10 version. Firefox and Chrome for Mac already have a tough competition in terms of speed. Opera 10.52 features native Cocoa integration, multi-touch trackpad gestures support, and Growl notification support. Visit http://www.opera.com/browser/download/ from your Mac OS X’s Safari/Firefox/Chrome to download the Opera 10.52 browser. The new Browser version supports multi-touch gestures, it also has Growl notification support, which will give notifications if the download is complete or pop-up is blocked and so on. Its also has the feature of Turbo compression technology that allows surfing efficient even the network is slower or congested.